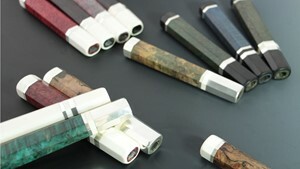 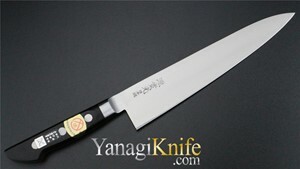 The Gyuto is the Japanese equivalent of a European, all-purpose chef knife. This knife is great for completing various tasks, such as filleting protein and cutting and chopping fruits and vegetables at home in the kitchen. 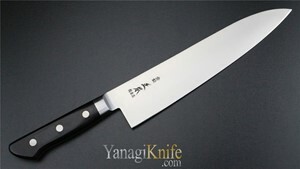 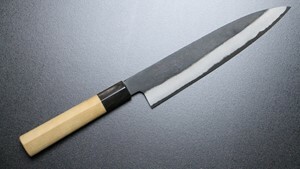 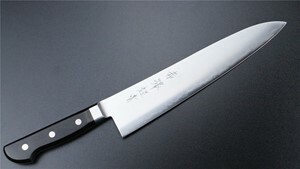 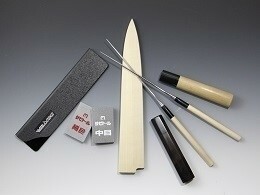 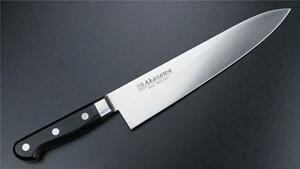 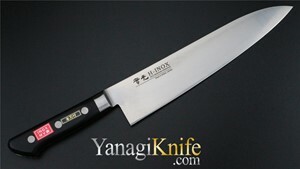 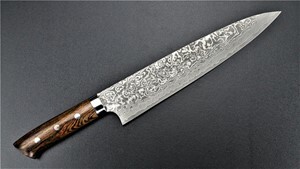 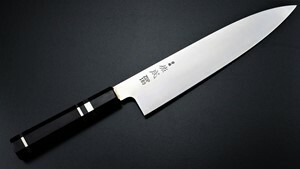 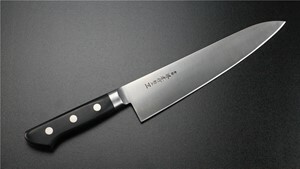 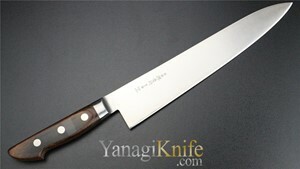 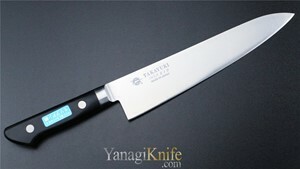 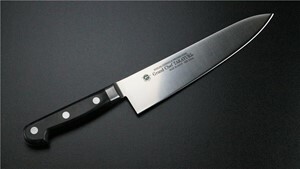 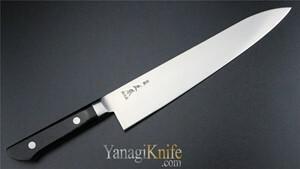 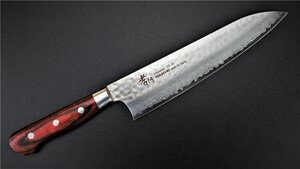 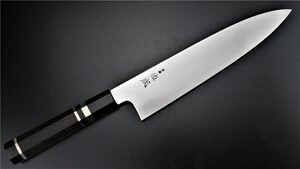 Specifically, the tip of the Gyuto's blade is commonly used to finely slice fish and poultry, and to julienne vegetables. 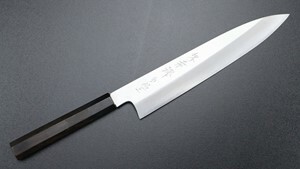 Meanwhile, the bottom half of the blade is perfect for rough chopping herbs and onions. 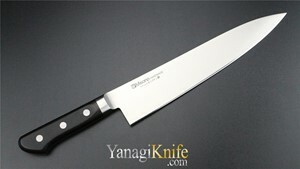 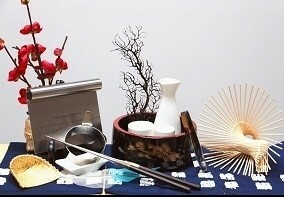 Additionally, the airiness and light-weight of the Gyutoknife makes it fitting for dicing as well.